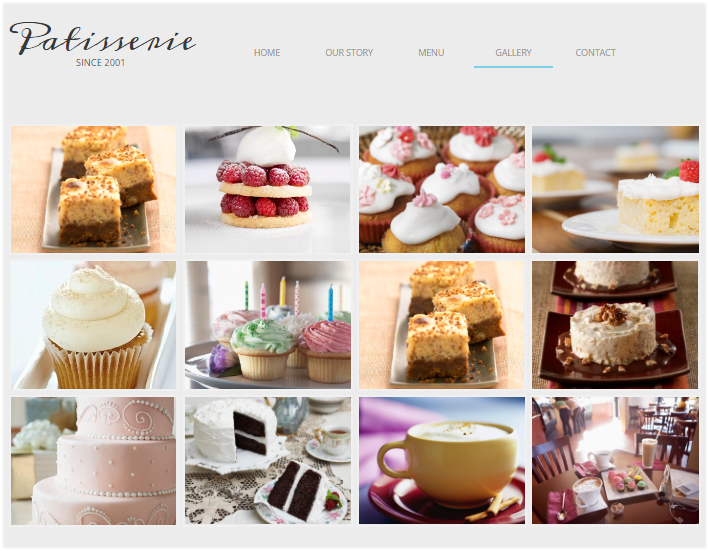 Image galleries are the best way to showcase your images and keep your visitors interested, and Website.com offers several stunning gallery layouts for you to choose from, including masonry, grid and tiles. 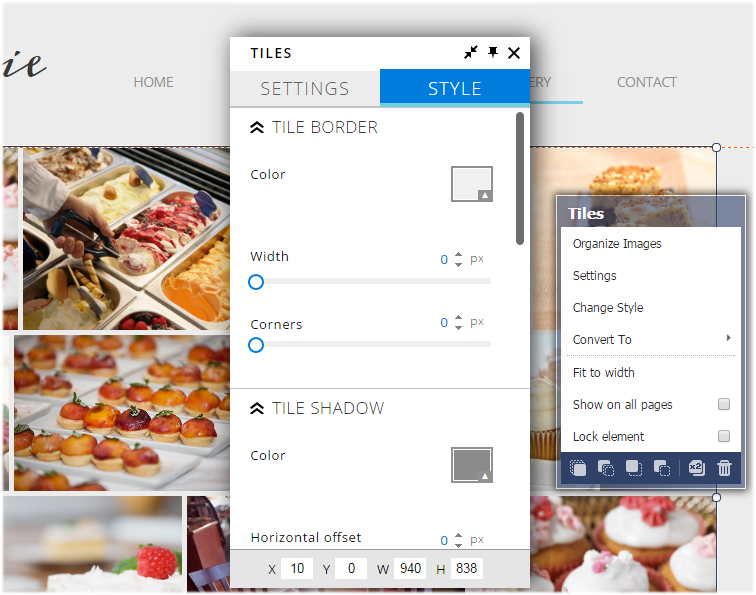 In this article, we will show you how to create beautiful image galleries using the Gallery tools found within your Website.com editor. We will also show you the difference between a masonry, grid and tiles gallery so you can easily pick one that best fits your needs. 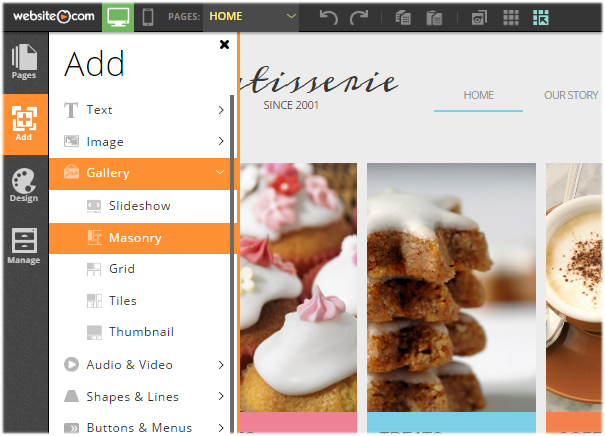 You will find the Gallery tools in the left menu on your Website.com editor, under Add. A masonry gallery is a cascading grid-style gallery where images are positioned like irregular bricks in an old stone wall. While it is grid-based, the masonry gallery is different from other grid layouts in that it does not have fixed row heights. 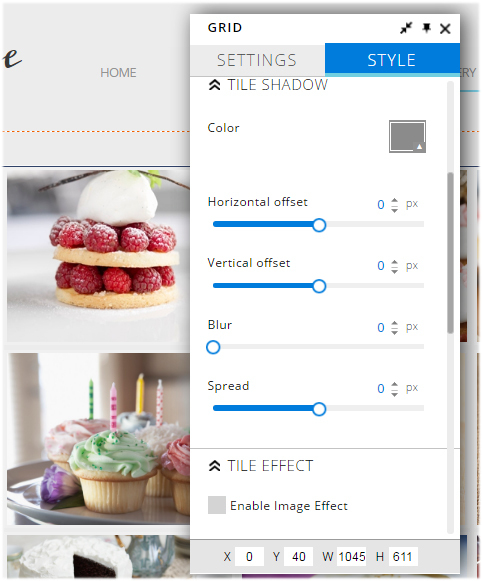 The benefit of this layout is that the size of your images is not taken into consideration – your images are not resized to a uniformed dimension and thus, doesn’t lose their quality. 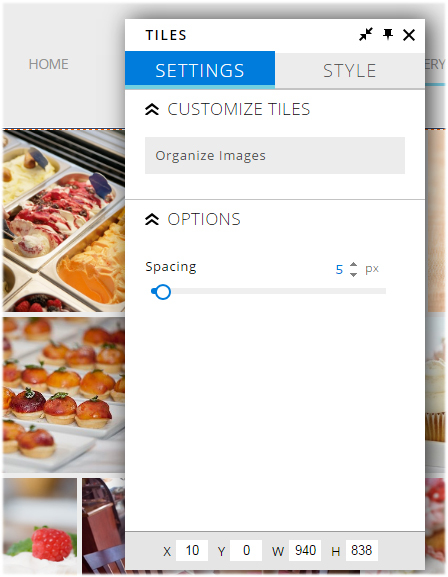 This makes the masonry gallery the perfect layout solution for displaying images of varied dimensions. As you can see, the result is a tight grid of images and each of the images has retained its quality. The masonry layout is also referred to as the Pinterest Style layout, as Pinterestas the first major website to use this layout style. 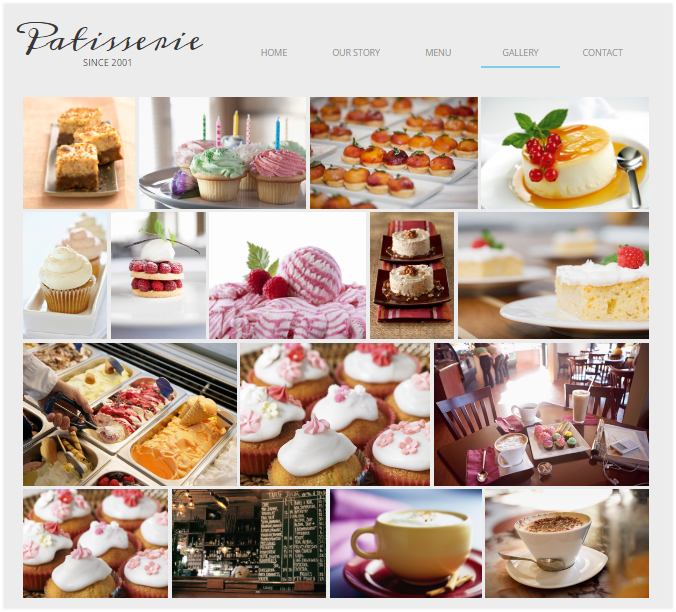 A grid gallery is a column-based gallery where images are displayed in a symmetrical grid layout – all images are displayed in the same height-width dimension and each image is vertically and horizontally aligned. 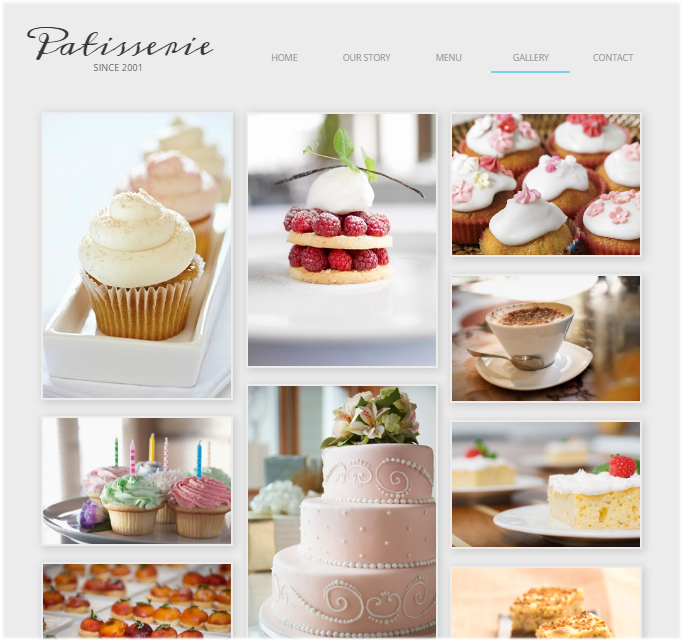 This type of gallery layout is perfect if you have a lot of images to display – you can specify the number of columns and rows and overflowing images will simply be displayed on the next page(s). 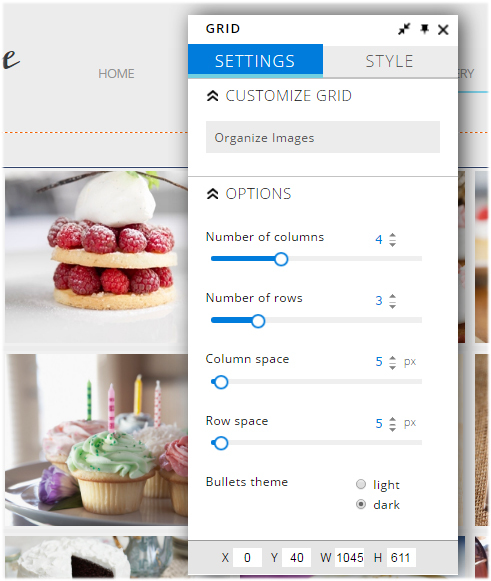 But while you can specify the number of columns in a grid gallery, you can’t specify the number of rows to be displayed in the tiles gallery. 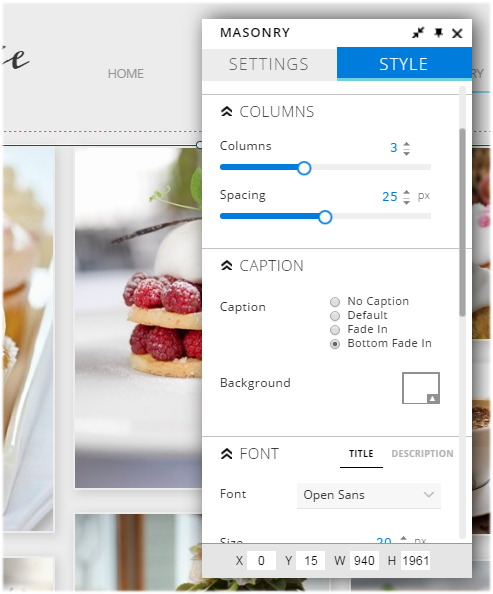 That’s because the gallery will take all the images you want to show and display them all on your page, and your images will be auto-resized to create the best arrangement possible.